So, I’m having a rest from posting much on the Feyhearted Path while I gather together my thoughts and energies for the next project (which is forming on paper and looks to be stunning!) 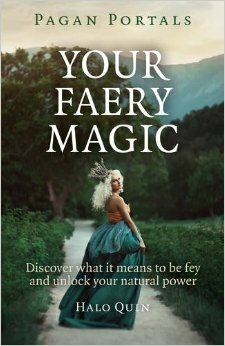 and I thought I’d just touch base with you all and share some musings and some fairy finds. Firstly, the issue of sparklefluff. In my life and my writing I try to balance my child-like fascination with all things sparkly with my bone-deep understanding that the Fae are wild, dark, and dangerous. The fact is, they’re both light and dark, and neither of these are evil. They’re both capable of great love, compassion and helpfullness, and malicious vengeance. And neither of these are evil. The Fae are the wild forces, and I focus on connecting with those that choose to work in partnership with humans that approach with respect, but I know that they are not human, their rules are different to ours, and they are mightily pissed with us as a race. So my writings look fluffy, and I focus on the sparkles, but I urge all my dear readers to be aware that the Fae are not empty fluffballs, they’re not toys, and they’re not in any way under our sway. They are wild forces, powerful beings, and they will help those of us that approach with respect and an open heart. Besides that, I also deal in enchantment… and that does involve a fierce dedication to beauty and honesty, and a vulnerable openess to wonder and play. There is enough doom and gloom, so I recommend an approach that combines awareness with delight, and gives due respect to those beings that have been here much longer than we. Over the past couple of weeks I’ve discovered that a lovely lady went across the world in search of faeries, found them, and wrote the tale down! 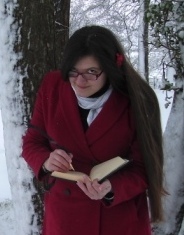 Discover Signe Pike’s Faery Tale here! And, in Scotland, a beautiful charity works to offer support to children undergoing treatment and surgery using Fairy Boxes!